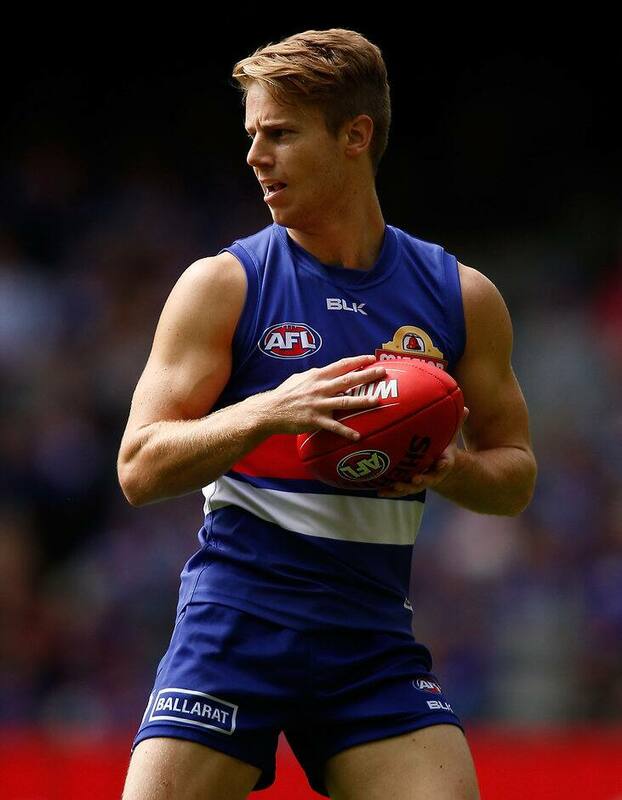 THE WESTERN Bulldogs have locked in another piece of their bright future with Lachie Hunter the latest young gun to re-sign with the club. Luke Beveridge revealed on Tuesday that the 21-year-midfielder had recommitted to the club, saying a new approach to his footy was the catalyst for the deal. Some off-field misdemeanours early in 2015 resulted him spending 11 of the first 14 rounds in the VFL before finishing the season as one of the Dogs' prime midfielders. "We needed to change a few things in his life and he has become a real influential player for our football club, hence why he's just been re-contracted," Beveridge said. "His journey from this round last year to now (has been a big turnaround because) he had some battles and things going on in the background. "He's a beauty, 'Lach', and he's very versatile." Hunter, who signed on until the end of 2019, has played 38 games since being taken as a father-son recruit with pick No.49 in the 2012 NAB AFL Draft. "It's obviously a great honour to be able to play for the club for another three years, and it's awesome that they've shown the faith in me," Hunter told the club's website. "I'm looking forward to getting into it." His father Mark played 130 games from 1988-96.